The first few glimpses of legendary auteur Mani Ratnam’s forthcoming romantic drama, Kaatru Veliyidai, is out and the soulful music and exquisite visuals reiterate why Mani is still the undisputed king of romance. All of just three shots, the teaser manages to intrigue the audiences with a deep sense of longing. The film’s first single will be unveiled on February 2nd. The film stars Karthi and Aditi Rao Hydari. AR Rahman has composed the music. 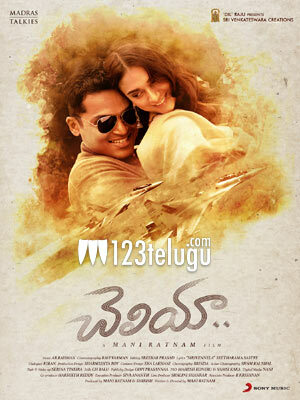 Kaatru Veliyidai will be releasing in Telugu as Cheliyaa. The film is slated to hit the screens on March 24th.